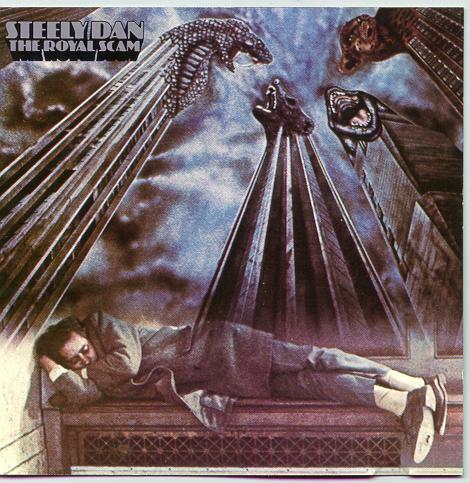 The Royal Scam is the fifth studio album by Steely Dan, originally released by ABC Records in 1976. The album went gold and peaked at #15 on the charts. 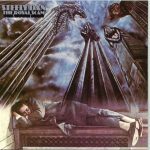 The Royal Scam features more prominent guitar work than the prior Steely Dan album, Katy Lied, which had been the first without founding guitarist Jeff Baxter. Guitarists on the recording include Walter Becker, Denny Dias, Larry Carlton, Elliott Randall and Dean Parks. In common with other Steely Dan albums, The Royal Scam is littered with cryptic allusions to people and events both real and fictional. In a BBC interview in 2000, Becker and Fagen revealed that “Kid Charlemagne” is loosely based on Augustus Owsley Stanley, the notorious drug “chef” who was famous for manufacturing hallucinogenic compounds, and that “Caves of Altamira”, based on a book by Hans Baumann, is about the loss of innocence, the narrative about a visitor to the Cave of Altamira who registers his astonishment at the prehistoric drawings. It is also influenced by Plato’s Cave Allegory and Keats’ ‘Ode to a Grecian Urn”. The album was re-issued by MCA Records in 1979 following the sale of the ABC Records label to MCA. Phonographic Copyright (p) – ABC Records, Inc. Copyright (c) – ABC Records, Inc.